Together, Sin and Sacrifice and the Veterancy Update mark the end of Season One for Battlestar Galactica Deadlock. Back when the game was first released, the team had no idea yet that it would keep growing as much as it did. After four DLCs and plenty new free updates, the game has been constantly improved by Black Lab Games, always eager to listen to feedback from players. 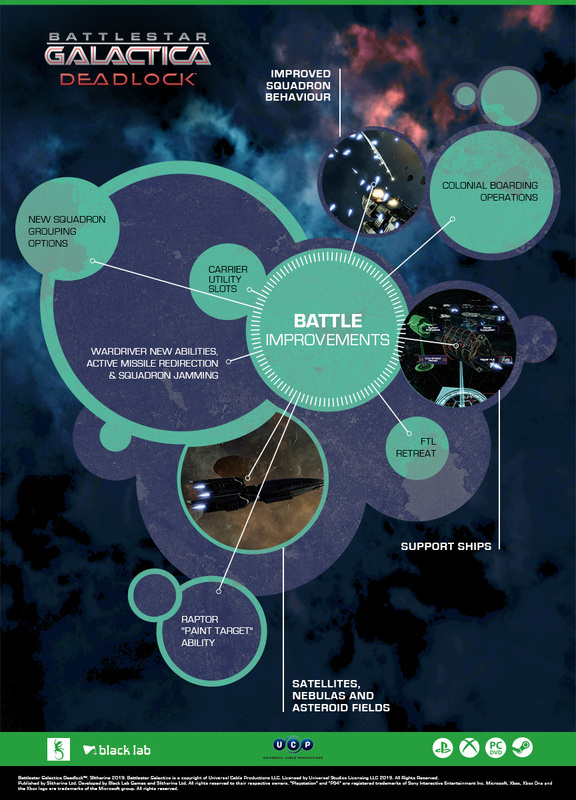 The game was extremely well received at launch, but there was always room for further improvement. Thanks to all the suggestions and ideas players gave them Black Lab kept working on the game, expanding on existing concepts and implementing new ones. 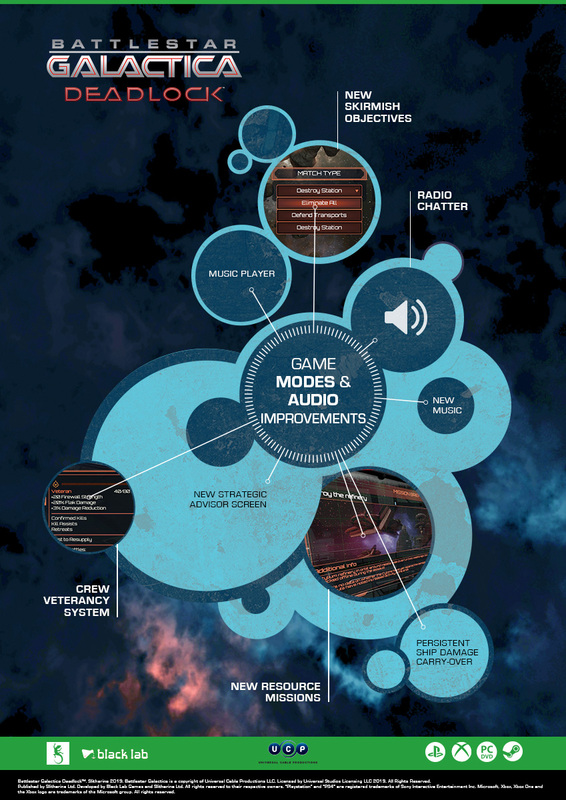 The game saw improvements in pretty much every aspect: visual, audio, AI, UI, in the strategy and the tactical layer alike. 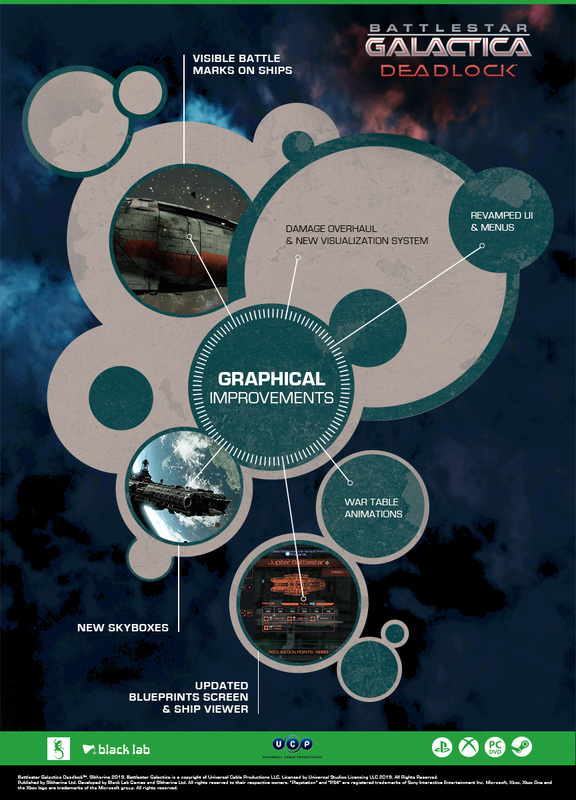 We have prepared infographics to showcase the type of work which was put into Season One. We're really thankful for all the support and feedback players gave us. It is also thanks to you that Deadlock kept growing. But what happens after tomorrow? Well, there can't be a Season One without a Season Two! Black Lab have already started working on new content and new features, and you can expect some really nice surprises for Season Two! I bet you can't wait. Season 2. Be still my heart.